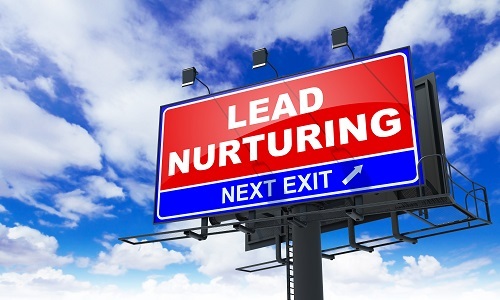 Effective lead nurturing is just a small portion of the inbound marketing pie, but it is an important element. There are people out there who will be ready to purchase your product or enlist your services in the near or distant future – so how can you make sure they choose you? Lead nurturing can develop a relationship with potential clients so that when decision time comes, they decide to go with what you have to offer. Make sure you have a quality product or service to offer. It will be hard to nurture a lead when you’re unsure of what you can offer or are not sure if you’re the best. Put some work into developing your product, your brand, and your marketing campaign. Always put the customer first. It is common sense, but not all companies do this. Develop your lead nurturing strategy around what your customer needs, not what your company needs. Unique content that answers a question or proposes a solution will attract clients. Share ideas and personal expertise that is valuable to your clients. Set up some sort of metrics software to track your lead nurturing results. You’ll need to keep an eye on what is working and what is failing. This will help you to boost engagement when needed as well as see where more effort is needed. 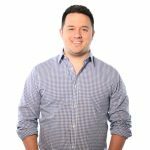 Once you have a solid and effective lead nurturing strategy in place, you’re ready to learn how to maximize your potential. The Aberdeen Group found some surprising statistics when they studied effective lead nurturing. Only 20% of leads are ever followed up on. 80% of bad leads end up buying something within the next 2 years – they just weren’t ready yet. 80% of sales occur after the 7th contact – if you give up after just a few tries, you’ll lose out on a majority of your leads. Perseverance is the key. You don’t have to be the annoying salesperson, but you do have to be consistent and follow up. The people you’re trying to reach may be just as busy as you. Give them a chance to respond before moving on. Don’t wait for them to call you back as a lack of response may not always indicate a lack of interest. Evaluate your current lead nurturing content or presentation – is it really content or information heavy? Most potential clients aren’t interested in all of the details up front. Focus on presenting only what’s important and leave the rest for follow up conversations. Too much data can be overwhelming, especially if your prospect isn’t familiar with your product or service. Create a story about your company or idea or share what your brand is all about instead of just facts. Solve a client’s problem and they’ll be much more interested in what you have to offer. A personal touch will always win the show when it comes to effective lead nurturing. This means you have a one-one-one conversation with a client and practice your listening skills. Ask them questions and then actually listen to their responses. Don’t turn the meeting into a presentation on why your service is the best and they have to pick you, or else. Building mutual respect and a foundation for the business relationship will go a long way, even if you don’t close the sale by the end of the meeting. For more tips on effective lead nurturing, visit Farotech’s blog and learn how to master all the facets of inbound marketing.